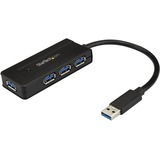 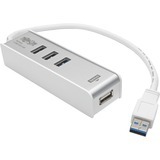 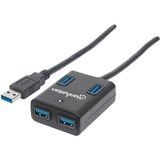 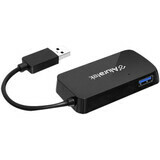 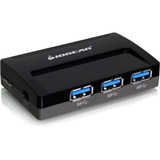 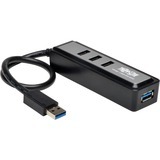 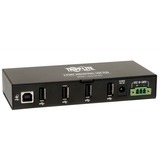 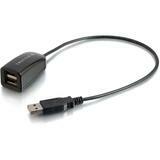 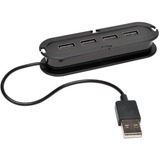 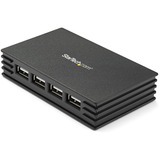 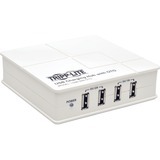 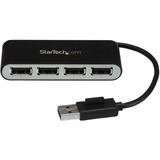 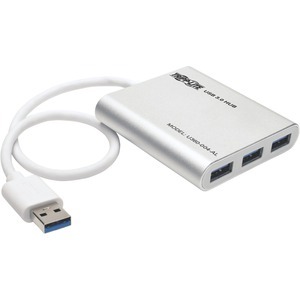 The U360-004-AL 4-Port Portable USB 3.0 SuperSpeed Mini Hub's built-in USB cable connects to your laptop, Ultrabook or computer to expand the number of available USB 3.0 ports. 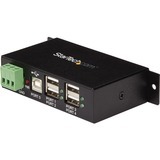 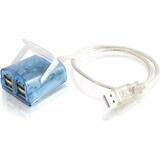 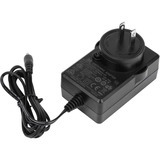 Just plug and play with no drivers or external power supply needed. 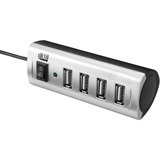 The bus-powered hub distributes 900mA to its four ports. 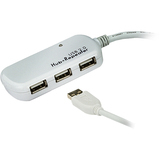 When using a separate cable between the hub's USB Micro-B port and your device to draw additional power, the hub can provide up to 1.5A for fast charging of mobile devices. 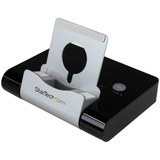 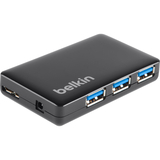 This portable hub supports USB 3.0 data transfer rates up to 5 Gbps-ten times faster than USB 2.0-and is backward compatible with USB 2.0 and USB 1.1 devices. 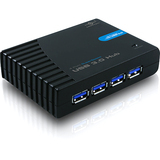 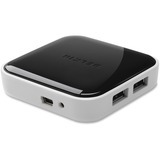 All four ports support USB Battery Charging (BC) specification v1.2. 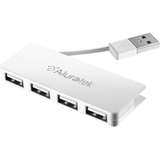 The compact aluminum case fits easily into your pocket, backpack, briefcase or laptop bag to power USB-enabled devices wherever you are.